Are you enjoying Clutch Week? Be sure to enter to win a clutch from Finding my Way in Texas and come back every day this week for more Clutch Madness!! I normally carry a big purse, but sometimes I just want to bring along a few items. I do not own any clutches or small bags, so I thought I’d make one! Of course, I can’t make something like this without sharing it with you :). 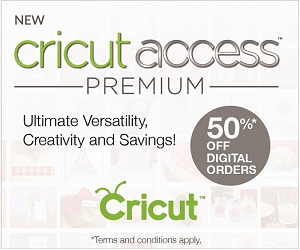 Cut a piece from the clutch outside fat quarter that is 14″x21″. Create the pleats. I have a cutting mat with measurements on it. I recommend using this if you have one. It makes creating the pleats super easy. 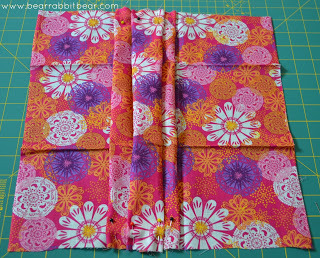 Working from one of the 21″ sides and starting in the center, make 4 pleats. Two will go towards the right, and two will go towards the left. The approximately size of each pleat should be around 1/2″ in length (1/2″ folded under and 1/2″ visible). Pin each pleat in place. 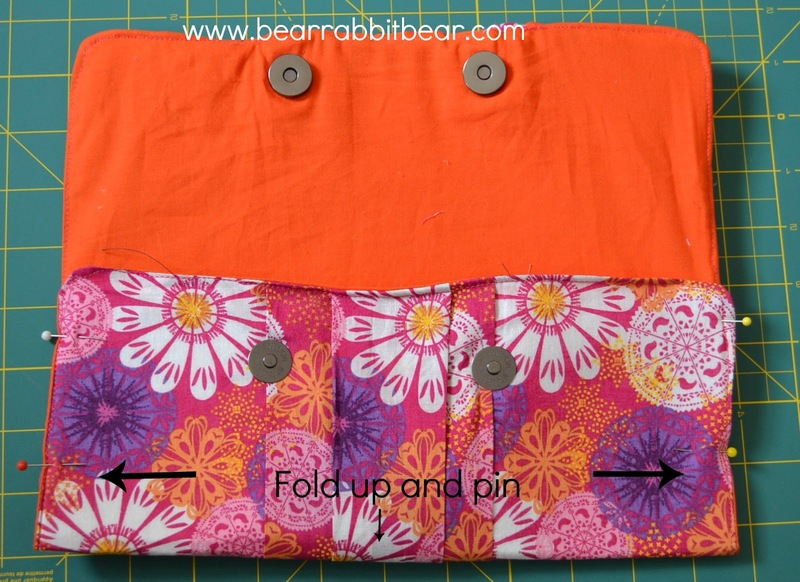 Turn and pleat the opposite 21″ side using the same pleat folds. The pleat should match all the way across the fabric. Pin in place. Baste across the pleats on each side to secure them and remove pins. “Clean Up” the clutch fabric. In other words, if the pleats do not look perfectly in the middle, trim the fabric to make sure the sides match and the pleats are centered. 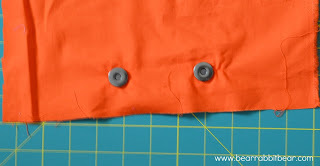 Cut the Peltex square so that it is 1/2″ shorter than the clutch fabric on all sides. 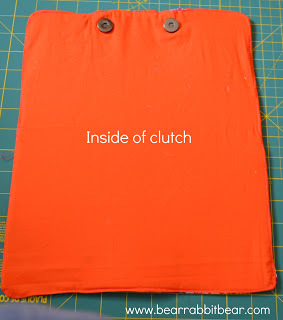 Following the manufacturer’s instructions, fuse the Peltex to the wrong side of the clutch fabric. 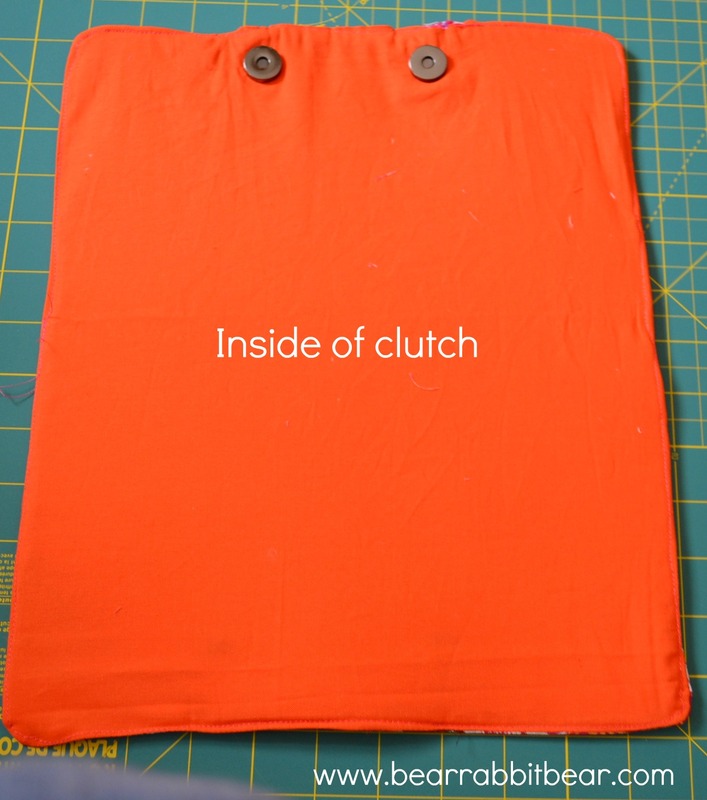 Attach the “socket” half of the magnetic snaps to the outside of the clutch fabric according to the manufacturer’s instructions of whatever snap that you purchased. (Ignore the half that I attached in the picture- it should be the other half of the magnetic snap). Each snap should be 1 1/2 inches from the bottom raw fabric edge and about 4″ from the raw edges on each side. 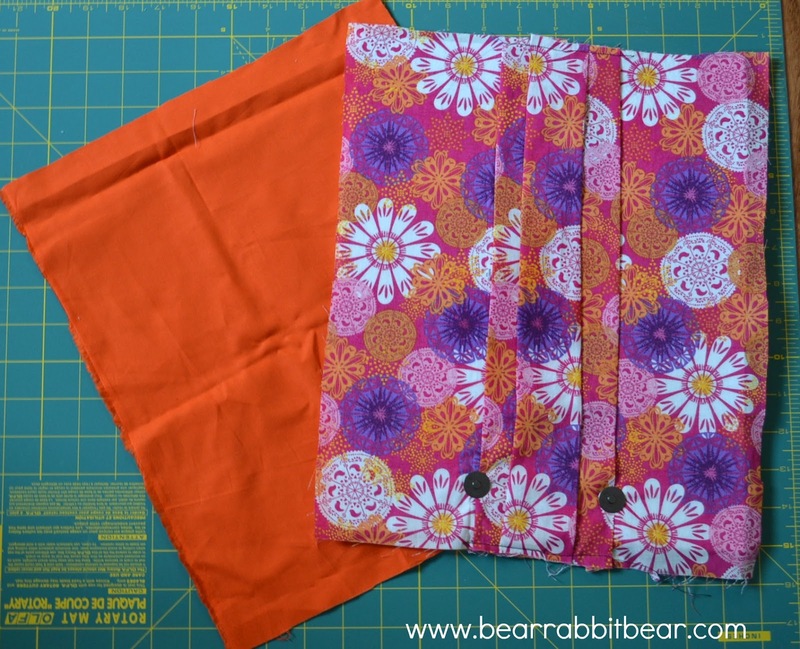 Lay the clutch fabric on the lining fabric and cut a piece of lining fabric the same size as the clutch fabric. 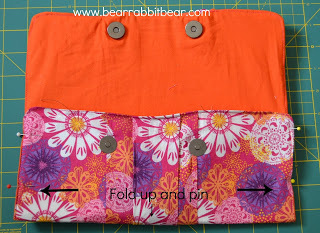 Attach the other half of the snap to the outside of the lining fabric. 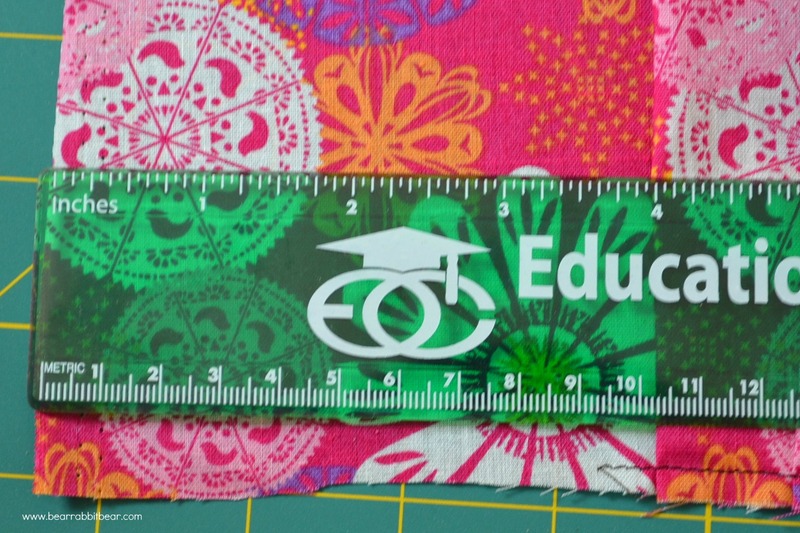 Each snap should be 1 1/2 inches from the bottom raw fabric edge and 4″ from the edges. Since the lining fabric does not have Peltex on it, I recommend placing a small piece of remnant Peltex or an interfacing on the back of the snap for added support. 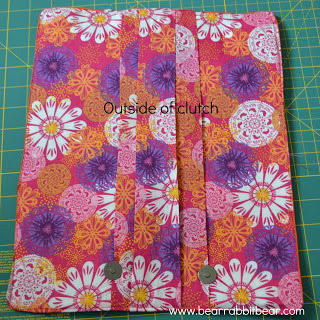 Place the clutch fabric and lining right sides together. Make sure the snaps are at opposite ends. Pin. 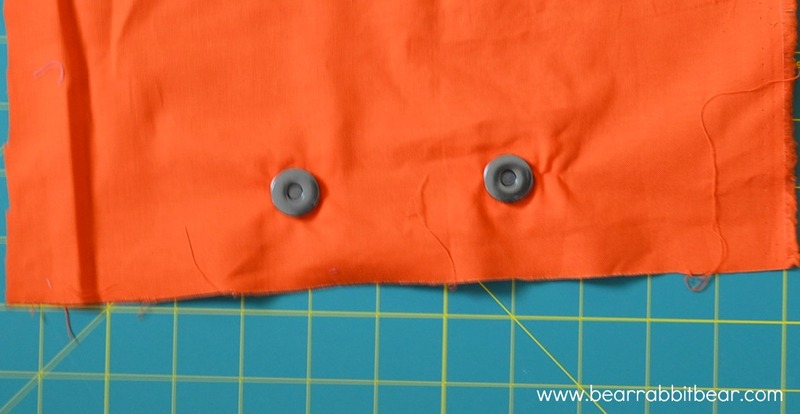 Sew at a 3/8″ seam allowance, making sure that the Peltex is not caught in the seam. I rounded the edges of mine. Leave a 3″ opening for turning. Clip corners and trim seams. Turn right side out. Fold under the raw edges of the opening and pin. Topstitch all the way around the clutch, making sure to sew the opening closed. Fold the bottom half of the clutch upwards. Fold the top half down so that the magnetic snaps meet. 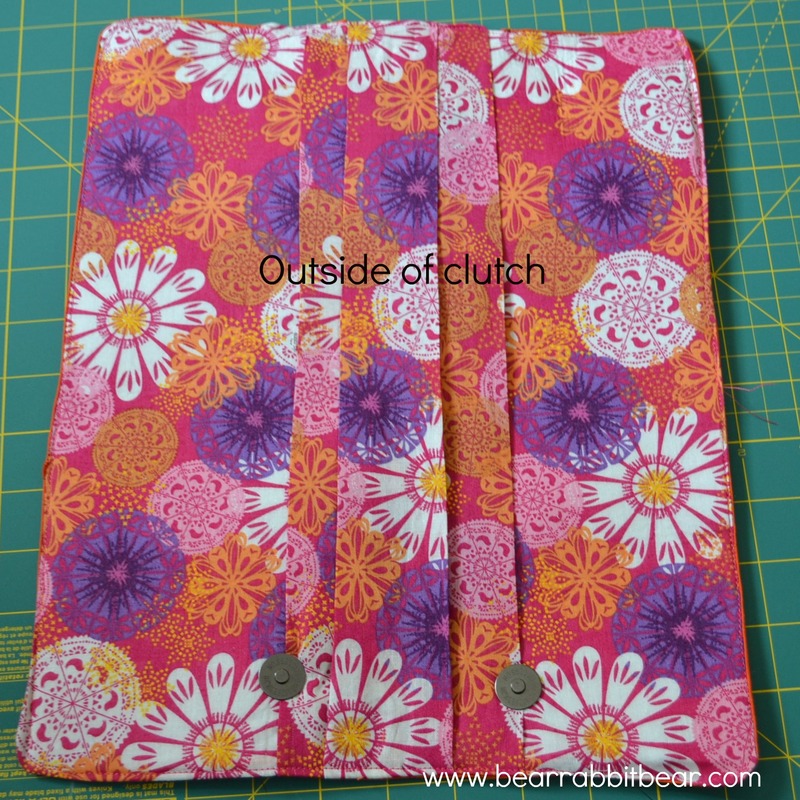 Play around with this until you feel like the clutch bottom fold is at a good, natural place and pin the BOTTOM PART only in place. Sew the bottom half of the clutch on both sides (not the folded part) to attach it to the clutch middle. Backstitch a few times at the beginning and end of the stitch line. I added a cute orange flower from Canvas Corp to the outside for an added touch. 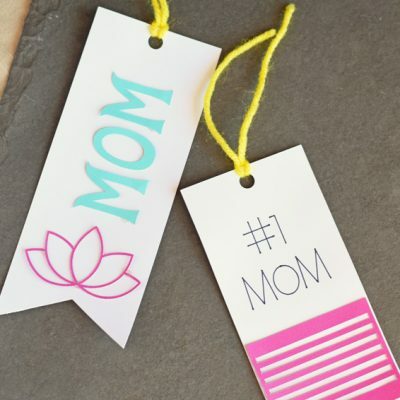 Feel free to embellish these to match your style! Done!! A quick, easy clutch that you can make to go with every outfit! this is so cute!! i’m going to have to try it!! I would love it if you would link up at Watch Out, Martha!’s link up party: Martha Mondays, going on now! Hope to see you there! So bright and funky! I love it. 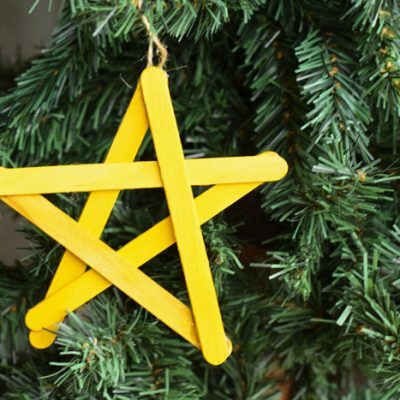 Awesome tutorial – thanks for sharing- I will have to make one of these! Super cute, love the flower! I love this! Maybe I can purchased one on Etsy, but I don’t have the talent for this adorable clutch. Thanks for linking up today! Thanks so much for sharing on Tout It Tuesday! Good job! This is really cute! Thanks for sharing at our Handmade Tuesdays party. I love the vibrant fabric and the flower! 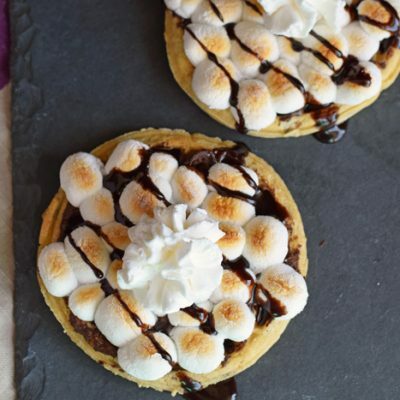 Thanks for linking up to naptime delights! That’s so cute! I LOVE the flower! Love! The colors are just amazing together. The flower is a perfect addition as well. Thanks so much for sharing at Whimsy Wednesdays. 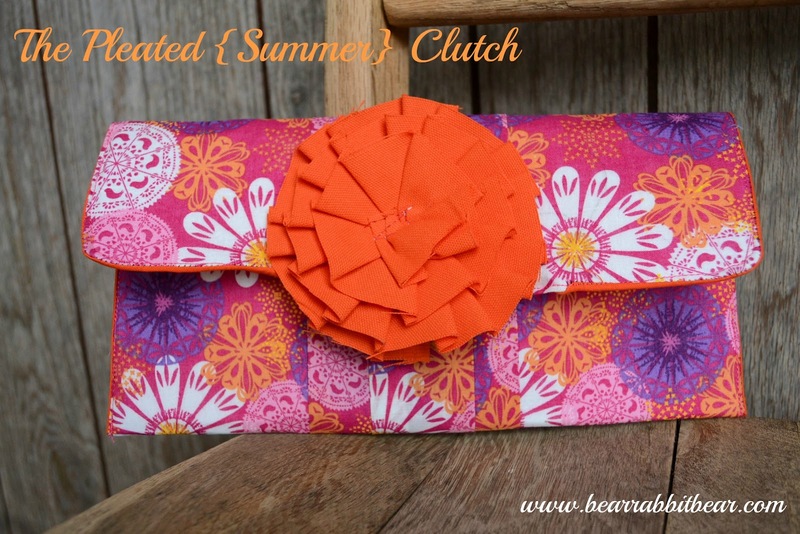 Beautiful clutch and great tutorial Melanie!! I love these clutches! I am featuring you at my I Love Fridays party this week!! Feel free to drop by and grab a featured button 🙂 Can’t wait to see what you link up next. Melanie, this is so pretty. 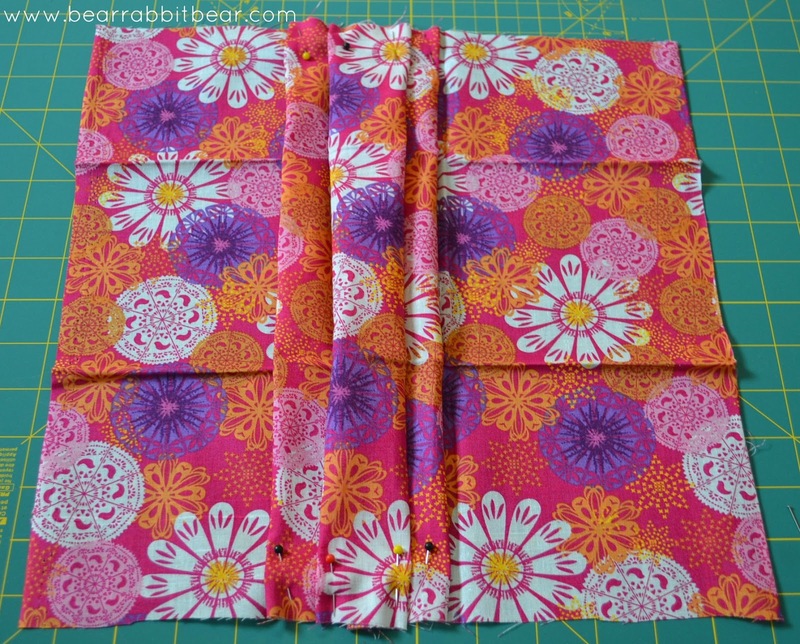 I love the fun fabric that you used and that flower really adds the big pop. 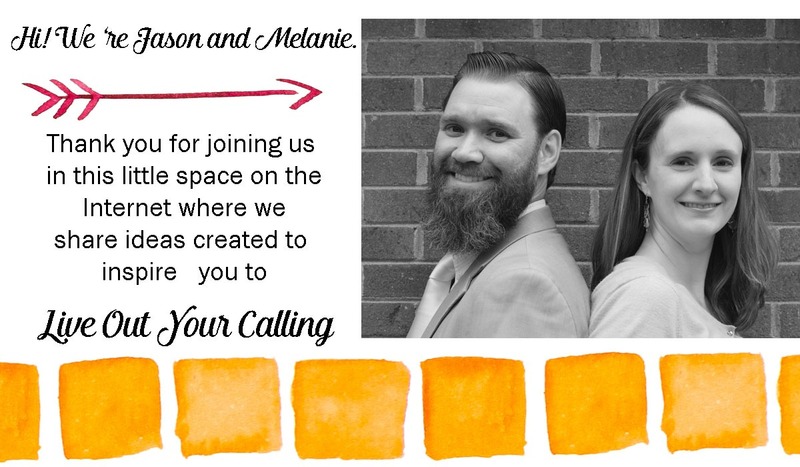 Thanks so much for sharing at our party this week. SO cute! I love that flower on the front. Thanks for sharing at Terrific Tuesdays. Super cute, love the colors and fabrics! This is so cute! I have so many fabric scraps, maybe I’ll try doing something similar! 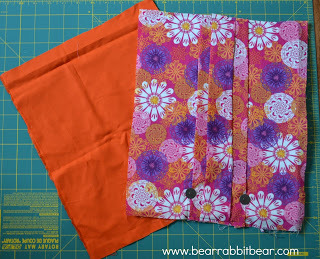 I love the fabrics you chose, I love those fun, bright colors! Thanks for the inspiration! This is so incredibly cute, can you tell I LOVE this clutch? Now following, would love for you to visit and follow me too! Melanie, this is so adorable!!! I could just make one of these in every color for myself 🙂 I’m featuring you tomorrow on Daily Do It Yourself. Thanks so much for sharing!! I simply adore this!! I would love to have one in every color 🙂 Thanks so much for sharing. I’m featuring you tomorrow on Daily Do It Yourself.com! What a lovely clutch! I feel I have to make it! I adore this clutch! Thank you so much for sharing! 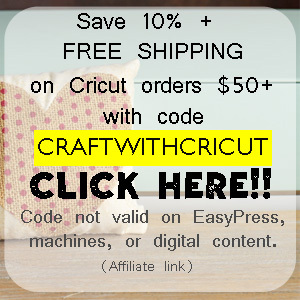 I hope you will keep sharing your sewing patterns & tutorials with SewSet, this is awesome. I featured it as one of today’s top patterns. I love love love this!!! Thanks so much for sharing!! !